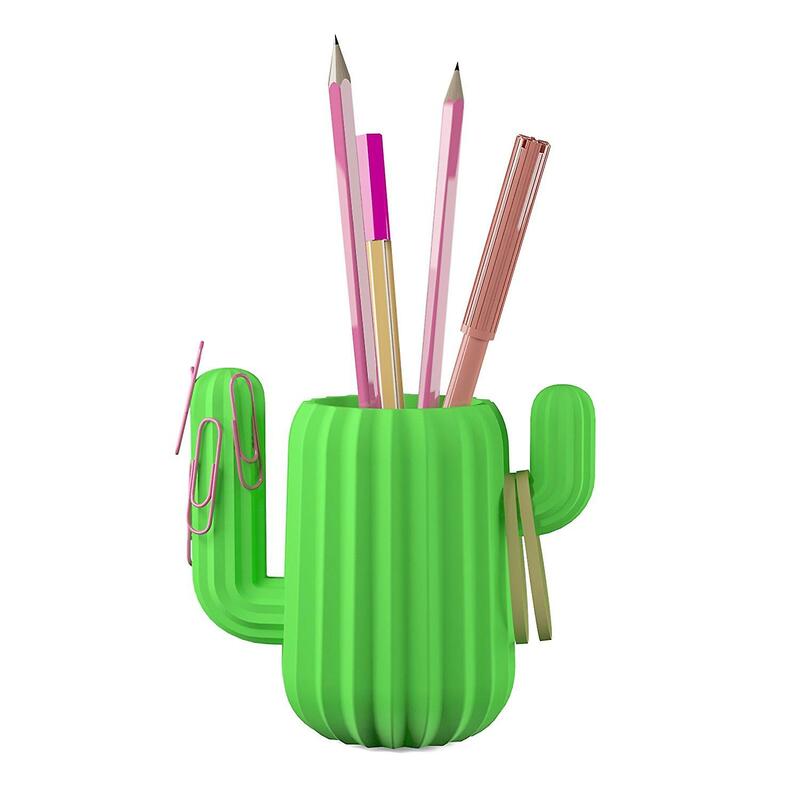 Cactus Desktop Organiser From Mustard Bring The Exotic Into Your Office With This Mustard Cactus Desktop Organiser. Creating An Organised And Free Working Space Becomes Effortless With This Brightly Coloured Organising Pod. Inspired By Prickly Cacti, It Has A Textured Outer Body With Two Extending And Magnetic Arms. Reduce Clutter By Popping Paperclips And Pins On To One Arm, Looping Rubber Bands On To The Other And Popping Pens Into The Main Compartment. The Vibrant Pop Of Green Adds A Dash Of Personality To The Most Mundane Of Office Environments With A Novel Design That Promises To Bring A Smile To Your Face. A Great Gift For Anyone With A Passion For Exotic Plants Or Far-Flung Travel Adventures.